Night Out with “The Girls” meets women right where they tend to be most comfortable–with their girlfriends, having fun, in a relaxed environment…where awkward questions about early breast cancer detection and how to do self-breast exams are embraced, encouraged and celebrated. By including a breast cancer survivor and a healthcare provider in the fun, these tough, but “need-to-know topics” are tackled in a manner that exudes: comfort, connection conversation. Jessica shares her story about how Life “giving her lemons” unexpectedly transformed her – from a young widow to breast cancer survivor to visionary entrepreneur – and intensified her desire to help others navigate loss. This interview is inspirational and provides all of us as women some important tips on our own self-care. To learn more about Night Out with the Girls, follow them on Facebook or visit the web site. 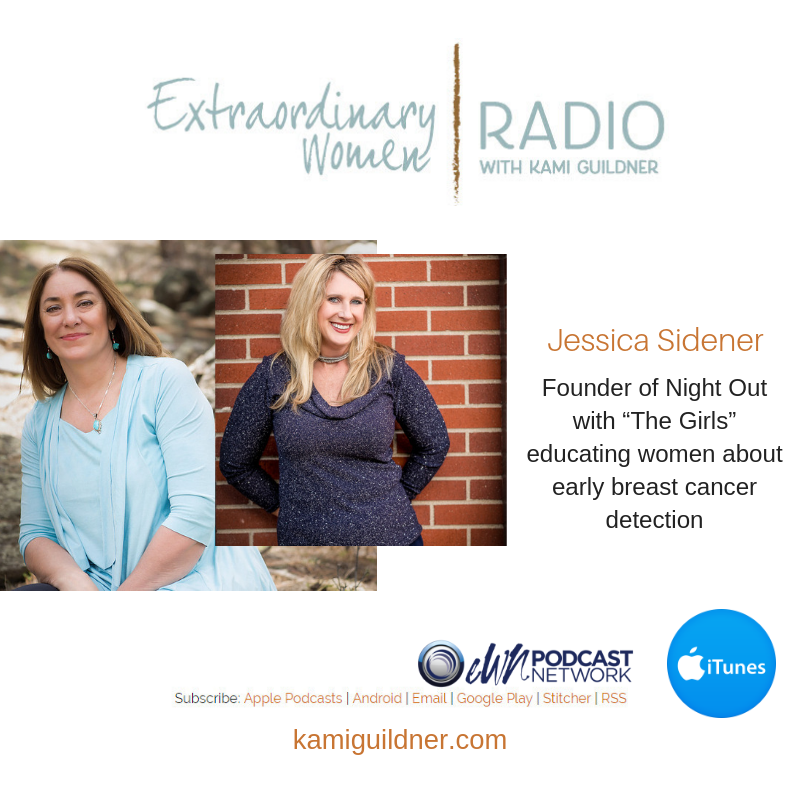 Let’s meet Jessica Sidener from Night Out with the Girls!